PEABODY, MA, FEB. 12, 2019/insPRESS/– eCaptiv will be forming two group captives through an exclusive group of independent insurance brokers to combat commercial auto trends in Canada. The programs are in the process of accepting submissions for prospective Members and intend to commence in July 2019. The first captive will be for companies that have HazMat exposure while the second will be focused on more generic short to medium haul fleets. Both captive programs will be geared towards companies with more than $250,000 in primary casualty premiums. All Members will be adopting risk management technology programs such as dash cameras, telematics and online training that are key elements in combating litigation financing and adverse commercial auto trends. eCaptiv’s sister company, eTech Services’ Telematics Exchange and eLive Connect will be used to aggregate telematics data from a number of telematics service providers and provide 24/7 loss prevention and safety training for drivers. 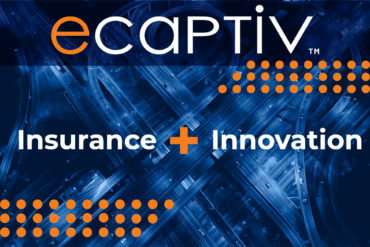 eCaptiv provides alternative and captive insurance solutions in the United States and Canada. eCaptiv is an affiliated entity of Energi Insurance Services, Inc. (MGA, Wholesaler & Program Manager), eRisk Solutions (LP Safety, Accident Recon, Environmental Management Services, Fire & Explosion Experts), eClaims Management (Claims TPA), eMarketing Strategies (Marketing Services Company) and eTech Services (Technology Services Company for the Insurance Industry). These companies offer specialized insurance programs along with support services meant to reduce client’s long-term loss costs and enhance their productivity.